College sports images from the 2013-2014 school year. Alan Look photos are used in many of the local weekly newspapers in Normal and the surrounding communities. Looking for something different, possibly something with that special photo of your favorite player? Check out McLean Countys's newest Sports and Leisure magazine at http://bestlookmag.com. Selected photos from the Loyola Ramblers at Illinois State Redbirds NCAA D1 Missouri Valley Conference Tournament Women's softball game in April 2014, on Marian Kneer Field, Normal Illionis. Reprints are provided for personal use and enjoyment only. It is a copyright violation for any reprint to be displayed in a public place, office, website, social networking site or to be used editorially without permission. Alan Look Photography, the Best Look in Bloomington - Normal Sports Photos. Looking for a particular player or game? use the search bar. Not all images from this game may be displayed in this gallery. Looking for something different, possibly something with that special photo of your favorite player? Check out McLean County's Sports and Leisure magazine at http://bestlookmag.com. 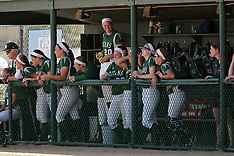 Selected photos from the Lake Forest Foresters at Illinois Wesleyan Titans NCAA D3 Tiournament Women's softball game in May 2014, on IWU Field, Bloomington Illionis. Reprints are provided for personal use and enjoyment only. It is a copyright violation for any reprint to be displayed in a public place, office, website, social networking site or to be used editorially without permission. Alan Look Photography, the Best Look in Bloomington - Normal Sports Photos. Looking for a particular player or game? use the search bar. Not all images from this game may be displayed in this gallery. Looking for something different, possibly something with that special photo of your favorite player? Check out McLean County's Sports and Leisure magazine at http://bestlookmag.com. Selected photos from the Southern Illinois Salukis at Illinois State Redbirds NCAA D1 Missouri Valley Conference Men's baseball game in April 2014, on Duffy Bass Field, Normal Illionis. Reprints are provided for personal use and enjoyment only. It is a copyright violation for any reprint to be displayed in a public place, office, website, social networking site or to be used editorially without permission. 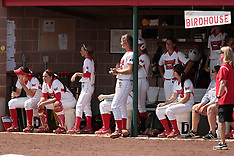 Alan Look Photography, the Best Look in Bloomington - Normal Sports Photos. Looking for a particular player or game? use the search bar. Not all images from this game may be displayed in this gallery. Looking for something different, possibly something with that special photo of your favorite player? Check out McLean County's Sports and Leisure magazine at http://bestlookmag.com. Selected photos from the Wheaton Thunder v Dickinson Red Devils at Illinois Wesleyan for the Sweet 16 Round NCAA D3 Men's Championship Series basketball game in March 2014. Reprints are provided for personal use and enjoyment only. It is a copyright violation for any reprint to be displayed in a public place, office, website, social networking site or to be used editorially without permission. 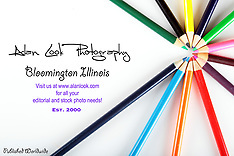 Alan Look Photography, the Best Look in Bloomington - Normal Sports Photos. Looking for a particular player or game? use the search bar. Not all images from this game may be displayed in this gallery. Looking for something different, possibly something with that special photo of your favorite player? Check out McLean County's Sports and Leisure magazine at http://bestlookmag.com. 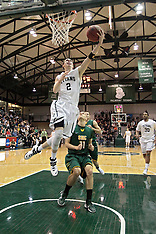 Selected photos from the Calvin Knights at Illinois Wesleyan Titans for the Sweet 16 Round NCAA D3 Men's Championship Series basketball game in March 2014. Reprints are provided for personal use and enjoyment only. It is a copyright violation for any reprint to be displayed in a public place, office, website, social networking site or to be used editorially without permission. Alan Look Photography, the Best Look in Bloomington - Normal Sports Photos. Looking for a particular player or game? use the search bar. Not all images from this game may be displayed in this gallery. Looking for something different, possibly something with that special photo of your favorite player? Check out McLean County's Sports and Leisure magazine at http://bestlookmag.com. 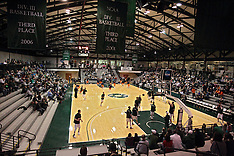 Selected photos from the St Norbert Green Knights at Illinois Wesleyan Titans for the 2nd Round NCAA D3 Men's Championship Series basketball game in March 2014. Reprints are provided for personal use and enjoyment only. It is a copyright violation for any reprint to be displayed in a public place, office, website, social networking site or to be used editorially without permission. Alan Look Photography, the Best Look in Bloomington - Normal Sports Photos. Looking for a particular player or game? use the search bar. Not all images from this game may be displayed in this gallery. Looking for something different, possibly something with that special photo of your favorite player? Check out McLean County's Sports and Leisure magazine at http://bestlookmag.com. 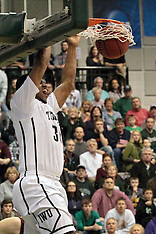 Selected photos from the Wheaton Thunder at Illinois Wesleyan Titans NCAA D3 Men's CCIW Championship basketball game in March 2014. Reprints are provided for personal use and enjoyment only. It is a copyright violation for any reprint to be displayed in a public place, office, website, social networking site or to be used editorially without permission. Alan Look Photography, the Best Look in Bloomington - Normal Sports Photos. Looking for a particular player or game? use the search bar. Not all images from this game may be displayed in this gallery. Looking for something different, possibly something with that special photo of your favorite player? Check out McLean County's Sports and Leisure magazine at http://bestlookmag.com. 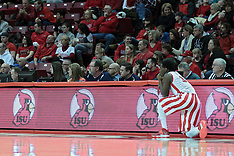 Selected photos from the Indian State Sycamores at Illinois State Redbirds NCAA D1 Missouri Valley Conference Men's basketball game in February 2014, in Redbird Arena, Normal Illionis. Reprints are provided for personal use and enjoyment only. It is a copyright violation for any reprint to be displayed in a public place, office, website, social networking site or to be used editorially without permission. Alan Look Photography, the Best Look in Bloomington - Normal Sports Photos. Looking for a particular player or game? use the search bar. Not all images from this game may be displayed in this gallery. Looking for something different, possibly something with that special photo of your favorite player? Check out McLean County's Sports and Leisure magazine at http://bestlookmag.com. 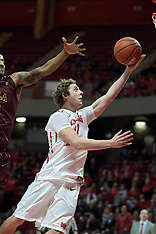 Selected photos from the Bradley Braves at Illinois State Redbirds NCAA D1 Men's basketball game in February 2014, in Redbird Arena, Normal Illionis. Reprints are provided for personal use and enjoyment only. It is a copyright violation for any reprint to be displayed in a public place, office, website, social networking site or to be used editorially without permission. Alan Look Photography, the Best Look in Bloomington - Normal Sports Photos. Looking for a particular player or game? use the search bar. Not all images from this game may be displayed in this gallery. Looking for something different, possibly something with that special photo of your favorite player? Check out McLean County's Sports and Leisure magazine at http://bestlookmag.com. 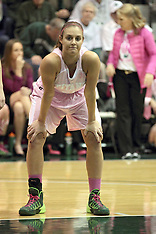 Selected photos from the Elmhurst Bluejays at Illinois Wesleyan Titans NCAA D3 Women's basketball game in February 2014. Reprints are provided for personal use and enjoyment only. It is a copyright violation for any reprint to be displayed in a public place, office, website, social networking site or to be used editorially without permission. 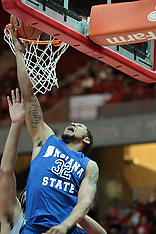 Alan Look Photography, the Best Look in Bloomington - Normal Sports Photos. Looking for a particular player or game? use the search bar. Not all images from this game may be displayed in this gallery. Looking for something different, possibly something with that special photo of your favorite player? Check out McLean County's Sports and Leisure magazine at http://bestlookmag.com. 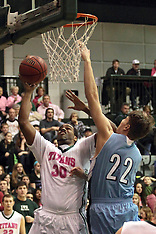 Selected photos from the Elmhurst Bluejays at Illinois Wesleyan Titans NCAA D3 Men's basketball game in February 2014. Reprints are provided for personal use and enjoyment only. It is a copyright violation for any reprint to be displayed in a public place, office, website, social networking site or to be used editorially without permission. 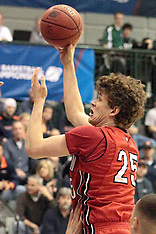 Alan Look Photography, the Best Look in Bloomington - Normal Sports Photos. Looking for a particular player or game? use the search bar. Not all images from this game may be displayed in this gallery. Looking for something different, possibly something with that special photo of your favorite player? Check out McLean County's Sports and Leisure magazine at http://bestlookmag.com. Selected photos from the Drake Bulldogs at Illinois State Redbirds NCAA Men's basketball game in February 2014. Reprints are provided for personal use and enjoyment only. It is a copyright violation for any reprint to be displayed in a public place, office, website, social networking site or to be used editorially without permission. Looking for a particular player or game? use the search bar. Not all images from this game may be displayed in this gallery. Looking for something different, possibly something with that special photo of your favorite player? Check out McLean County's Sports and Leisure magazine at http://bestlookmag.com. Selected photos from the Wichita State Shockers at Illinois State Redbirds NCAA Men's basketball game in January 2014. Reprints are provided for personal use and enjoyment only. It is a copyright violation for any reprint to be displayed in a public place, office, website, social networking site or to be used editorially without permission. Looking for a particular player or game? use the search bar. Not all images from this game may be displayed in this gallery. Looking for something different, possibly something with that special photo of your favorite player? Check out McLean County's Sports and Leisure magazine at http://bestlookmag.com. 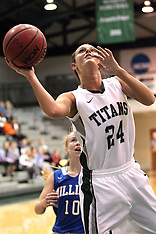 Selected photos from the Millikin Big Blue at Illinois Wesleyan Titans NCAA D3 Women's basketball game in January 2014. Reprints are provided for personal use and enjoyment only. It is a copyright violation for any reprint to be displayed in a public place, office, website, social networking site or to be used editorially without permission. Looking for a particular player or game? use the search bar. Not all images from this game may be displayed in this gallery. Looking for something different, possibly something with that special photo of your favorite player? Check out McLean County's Sports and Leisure magazine at http://bestlookmag.com. Selected photos from the Loyola University Ramblers at Illinois State Redbirds NCAA Men's basketball game in January 2014. Reprints are provided for personal use and enjoyment only. It is a copyright violation for any reprint to be displayed in a public place, office, website, social networking site or to be used editorially without permission. Looking for a particular player or game? use the search bar. Not all images from this game may be displayed in this gallery. Looking for something different, possibly something with that special photo of your favorite player? Check out McLean County's Sports and Leisure magazine at http://bestlookmag.com. 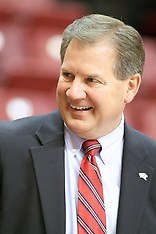 Selected photos from the Southern Illinois Salukis at Illinois State Redbirds NCAA Men's basketball game in January 2014. Reprints are provided for personal use and enjoyment only. It is a copyright violation for any reprint to be displayed in a public place, office, website, social networking site or to be used editorially without permission. Looking for a particular player or game? use the search bar. Not all images from this game may be displayed in this gallery. Looking for something different, possibly something with that special photo of your favorite player? Check out McLean County's Sports and Leisure magazine at http://bestlookmag.com. Selected photos from the Drake Bulldogs at Illinois State Redbirds NCAA Women's basketball game in January 2014. Reprints are provided for personal use and enjoyment only. It is a copyright violation for any reprint to be displayed in a public place, office, website, social networking site or to be used editorially without permission. Looking for a particular player or game? use the search bar. Not all images from this game may be displayed in this gallery. Looking for something different, possibly something with that special photo of your favorite player? Check out McLean County's Sports and Leisure magazine at http://bestlookmag.com. 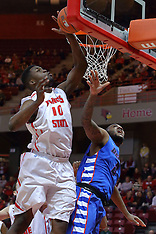 Selected photos from the DePaul Blue Demons at Illinois State Redbirds NCAA Men's basketball game in December 2013. Reprints are provided for personal use and enjoyment only. It is a copyright violation for any reprint to be displayed in a public place, office, website, social networking site or to be used editorially without permission. Looking for a particular player or game? use the search bar. Not all images from this game may be displayed in this gallery. Looking for something different, possibly something with that special photo of your favorite player? Check out McLean County's Sports and Leisure magazine at http://bestlookmag.com. 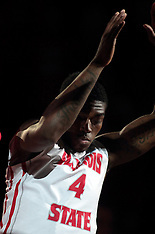 Selected photos from the Dayton Flyers at Illinois State Redbirds NCAA Men's basketball game in December 2013. Reprints are provided for personal use and enjoyment only. It is a copyright violation for any reprint to be displayed in a public place, office, website, social networking site or to be used editorially without permission. Looking for a particular player or game? use the search bar. Not all images from this game may be displayed in this gallery. Looking for something different, possibly something with that special photo of your favorite player? Check out McLean County's Sports and Leisure magazine at http://bestlookmag.com. 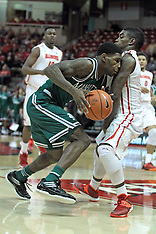 Selected photos from the Chicago State Cougars at Illinois State Redbirds NCAA Men's basketball game in December 2013. Reprints are provided for personal use and enjoyment only. It is a copyright violation for any reprint to be displayed in a public place, office, website, social networking site or to be used editorially without permission. Looking for a particular player or game? use the search bar. Not all images from this game may be displayed in this gallery. Looking for something different, possibly something with that special photo of your favorite player? Check out McLean County's Sports and Leisure magazine at http://bestlookmag.com. 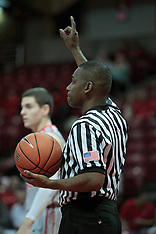 Selected photos from the Manhattan Jaspers at Illinois State Redbirds NCAA Men's basketball game in November 2013. Reprints are provided for personal use and enjoyment only. It is a copyright violation for any reprint to be displayed in a public place, office, website, social networking site or to be used editorially without permission. Looking for a particular player or game? use the search bar. Not all images from this game may be displayed in this gallery. Looking for something different, possibly something with that special photo of your favorite player? Check out McLean County's Sports and Leisure magazine at http://bestlookmag.com. 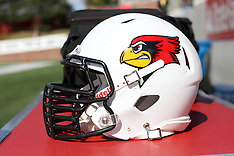 Selected photos from the Quincy Hawks at Illinois State Redbirds NCAA Men's basketball game in November 2013. Reprints are provided for personal use and enjoyment only. It is a copyright violation for any reprint to be displayed in a public place, office, website, social networking site or to be used editorially without permission. Looking for a particular player or game? use the search bar. Not all images from this game may be displayed in this gallery. Looking for something different, possibly something with that special photo of your favorite player? Check out McLean County's Sports and Leisure magazine at http://bestlookmag.com. 20131019 Indiana St at Illinois St. 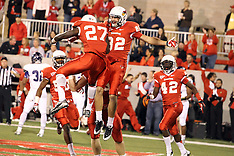 Selected photos from the Indiana State Sycamores at Illinois State Redbirds NCAA Football game in October 2013. Reprints are provided for personal use and enjoyment only. It is a copyright violation for any reprint to be displayed in a public place, office, website, social networking site or to be used editorially without permission. Looking for a particular player or game? use the search bar. Not all images from this game may be displayed in this gallery. Looking for something different, possibly something with that special photo of your favorite player? Check out McLean County's newest Sports and Leisure magazine at http://bestlookmag.com. Selected photos from the Abilene Christian Wildcats v Illinois State Redbirds NCAA Football game in September 2013. Reprints are provided for personal use and enjoyment only. It is a copyright violation for any reprint to be displayed in a public place, office, website, social networking site or to be used editorially without permission. Looking for a particular player or game? use the search bar. Not all images from this game may be displayed in this gallery. Looking for something different, possibly something with that special photo of your favorite player? Check out McLean County's newest Sports and Leisure magazine at http://bestlookmag.com.